Do you like Burger Time? Share it with your friends. 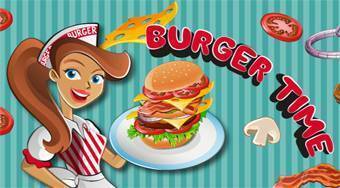 In a great girl game Burger Time, get in the role of a girl working in a fast food restaurant and help her earn the prescribed amount every day. Prepare for burgers customers exactly as they wish, and try not to wait too long.